Franklin Acito's research focuses on marketing strategy, research methods, and the application of research methods to management decisions. 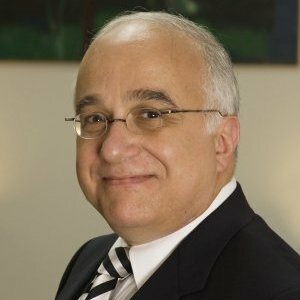 Frank Acito serves as Director of the Institute for Business Analytics in the Kelley School of Business at Indiana University where he is also Professor of Marketing and the Max Barney Distinguished Teaching Fellow. His teaching is focused on predictive analytics and data mining tools in courses being taught to our graduate students as well as corporate professionals. His research interests are in marketing research methods and tools, the application of research methods to management decisions, and marketing strategy. His publications on these topics have appeared in the Journal of Marketing Research, the Journal of Marketing, the Journal of Consumer Research, Multivariate Behavioral Research, Decision Sciences, the Academy of Management Journal, Industrial Marketing Management, and other professional journals. Frank has served as Associate Dean for Academics and also Associate Dean for Technology in the Kelley School. He also served as chair of the Marketing Department at the Kelley School for more than 11 years. During that time he established the Center for Education and Research in Retailing after obtaining a substantial grant from Sears, Roebuck and Company. He then served as chair of the Kelley School's Doctoral Programs for four years. He received the Distinguished Teaching Award from the Doctoral Student Association in 2002 and again in 2005. Frank developed and taught in executive programs at Eli Lilly and Company, IBM, Rolls-Royce Allison, 3M Corporation, and Ingersoll Rand. He has consulted with Chrysler Corporation, IBM, Eli Lilly, Kocolene Oil, and Walker Research. Frank holds a B.E.E. in Electrical Engineering from Cornell University and MBA and Ph.D. degrees from the University at Buffalo. Awarded by the Doctoral Student Association. Awarded by the Kelley School of Business. In this article, we review several significant trends affecting the future of business education and share the success principles that we believe are most applicable to thriving in the new world that is on our doorstep. We present evidence of three distinct international marketing strategy archetypes obtained through an exploratory case coding/clustering study. After discussing the characteristics, possible drivers, and contingent performance potentials of these archetypes, we offer directions for future research.